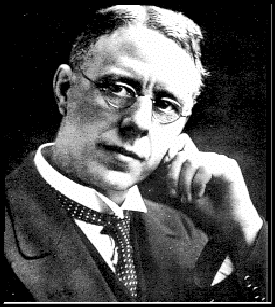 Harry Brearley (1871 - 1948) known as the inventor of stainless steel. On August 13, 1913 stainless steel produced in the laboratory first Brown-Firth. His father worked in steel smelting. At age 12 Brearly he worked in the steel mill where his father worked. After that he became an assistant in the chemistry laboratory. He also briefly studied to overseas factories. After that apprenticeship as a laboratory assistant. In 1908 two large steel mill in Sheffield agreed to fund public research laboratories: Brown Firth Research Laboratories, where Brearley led the project. In 1912 this laboratory examined the gun barrel corrosion. The problem is the steel is not resistant to high temperatures. Brearley began testing the addition of chromium to the steel. Research that focuses on measuring a number of levels of carbon, chromium, and iron are given.